Marquis By Waterford Selah Standing Cross 10"
Free Shipping Included! Save 1% on the Marquis By Waterford Selah Standing Cross 10'' by Marquis By Waterford at Sacred Hearths LA. MPN: 40022670. Hurry! Limited time offer. Offer valid only while supplies last. Marquis by Waterford combines versatility with value, using classic Waterford cuts to create crystal of astonishing clarity and substantial weight. Marquis by Waterford combines versatility with value, using classic Waterford cuts to create crystal of astonishing clarity and substantial weight. 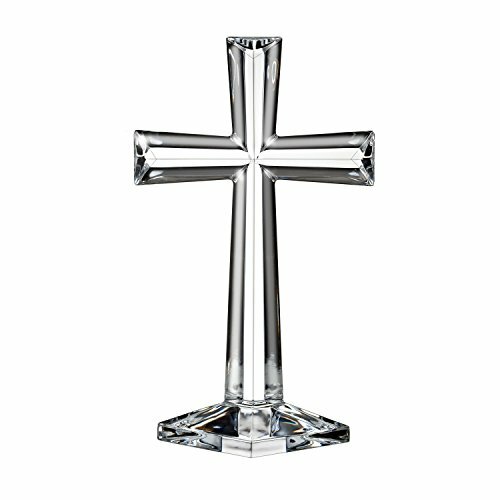 The 10 inch Selah Standing Crystal Cross is an inspiring piece, perfect for reflection and commemoration. Radiates Gratitude and Love Throughout your Home. If you have any questions about this product by Marquis By Waterford, contact us by completing and submitting the form below. If you are looking for a specif part number, please include it with your message.